Are you serious about baseball? 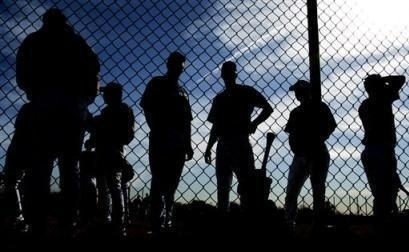 Guerilla Baseball Academy is a competitive atmosphere for athletes that are determined to make it to the next level. Guerilla has all of the tools and knowledge needed to train you like a professional ball player. What Guerilla Baseball isn’t is a sandlot or play ground with the purpose of amusement. Guerilla is an opportunity for all baseball players, of all ages, to learn and train like a professional. Stop by today and speak with Brent or Chuck about a professional training program that will help you become an elite athlete and a top baseball prospect. i been playn baseball all my life i live for this sport all i need is one chance to prove to some scouts that i got talent. i play centerfield and third base i bat right handed, catch right handed, im really interesting in tryouts i no i can make it to the next level.thank you for your time.